Posted on July 27, 2017 at 4:35 pm. As the two year long renovation of the Portland Building approaches RACC will take an opportunity to look back at the rich, 23 year long history of art installations in the gallery that adjoins the building lobby. 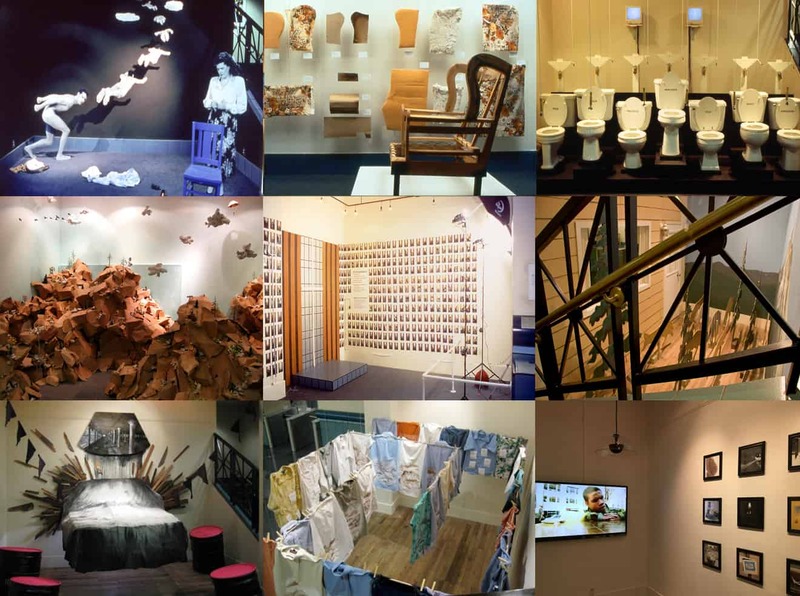 Over 200 exhibitions have taken place here over the years, all dedicated exclusively to site-specific installation art. The “techy” part: images and text from all the installations dating back to 1994 will be presented on a large format viewing screen. The analog part: the main wall will be converted to a large “Comment Chalkboard” where visitors can endorse their favorites, wish the Installation Space well as it begins its two year renovation hiatus, or simply comment on the nature of a program that has successfully presented engaging, challenging, and diverse artwork in a public forum for 23 years straight. The Portland Building is located at 1120 SW 5th Avenue and is open 8 am to 5 pm, Monday – Friday. A Look Back: 23 years at the Portland Building Installation Space opens Monday, August 14 and runs through Friday, September 1. For more information on the Installation Space series go to www.racc.org/installationspace.